Actually I've planned to write a bunch of new articles. But before that i wanted to complete my SQL injection series. So today i will be writing about hacking asp/aspx websites using SQL injection. 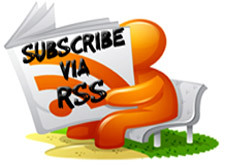 If you are new to SQL Injection , i would recommend you to go through my previous articles on Sql Injection. You can read them from here. 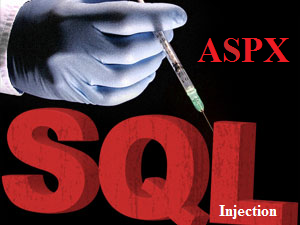 ASPX injection is also similar to PHP based sql injection. But here, we don't use queries that contain order by, union select etc. Instead, we will cheat the server to respond with the information we needed. It is an error based injection technique. We will get the information in the form of errors. when i browse my actual link, i get the page as shown in the figure. As in the PHP based injection, we will test for the vulnerability by adding a single quote at the end of the URL. If it gives an error similar to the following, then our site is vulnerable to sql injection. In asp/aspx based injections, we need not find out the number of columns or the most vulnerable column. We will directly find out the table names,column names and then we will extract the data. Step 3: Finding Out The Table Names. The above code executes the second query and retrieves the first table name from the database. the windows server cant convert character value into data type. so we will get an error as shown in the following figure from which we can get the first table name. But this may not be the desired table for us. So we need to find out the next table name in the database. For that, we will use the following query. replace the first_table_name with the actual table name we got above. Replace first_table_name and second_table_name with the table names we got in the above steps. Now we got the admin table. So we need to find out the columns now. Replace admin_table with the table name we got. In our case, it is "vw_system_admin"
If the first column is not related to our desired column names, then follow the steps as we have done in step 3. Replace first_column_name with the column name we got. After finding out all the columns, we need to extract the data such as user names and passwords. Just throwing this out there since this is the most recent blog. You do realize that over half of your download section can not be downloaded due to Ziddu no longer allowing file sharing. Please see blelow.
" Sorry! Ziddu is not offering any file sharing services !! " What is the name of next TUT after this ONE??? it is not working with top1 during finding column_name it gives and error like Invalid column name 'top1'.